On Saturday January 21st thousands took to the streets to protest the recent presidential inauguration and everything that Donal Trump stands for. 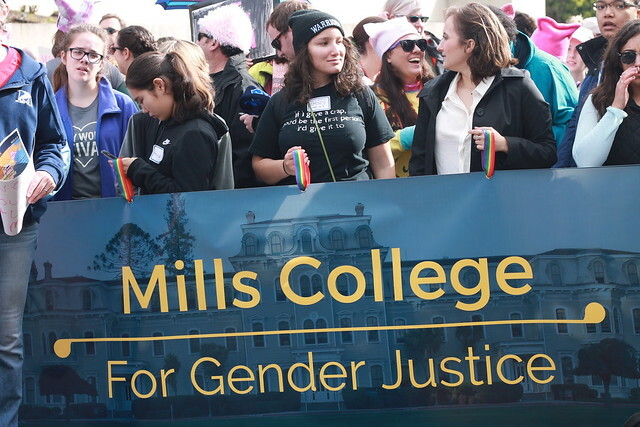 President Elizabeth Hillman led a group of Mills community members marching for gender justice. All photos taken by Emily Burian and Marisa Tangeman.